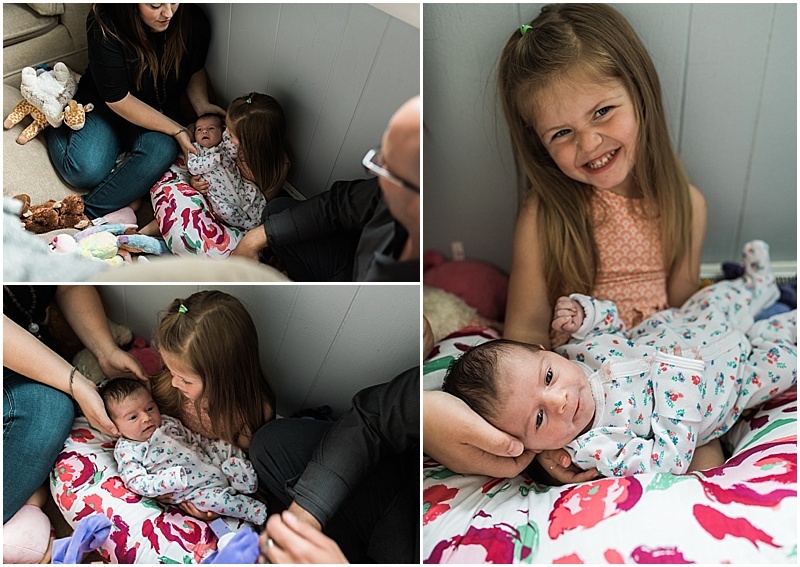 Sweet little Cora Faith is the third daughter in this close-knit family. 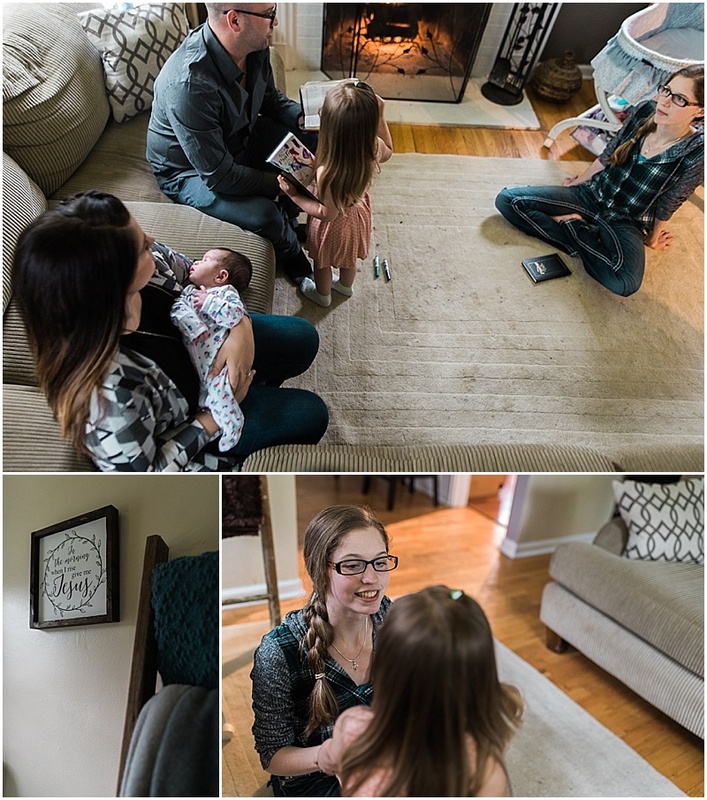 Their home is so cozy, their laughter so quick-coming, and their faith expressed with such a whole heart. Cora has fallen right into the nest so naturally. She's so loved, and it's so lovely to see that. 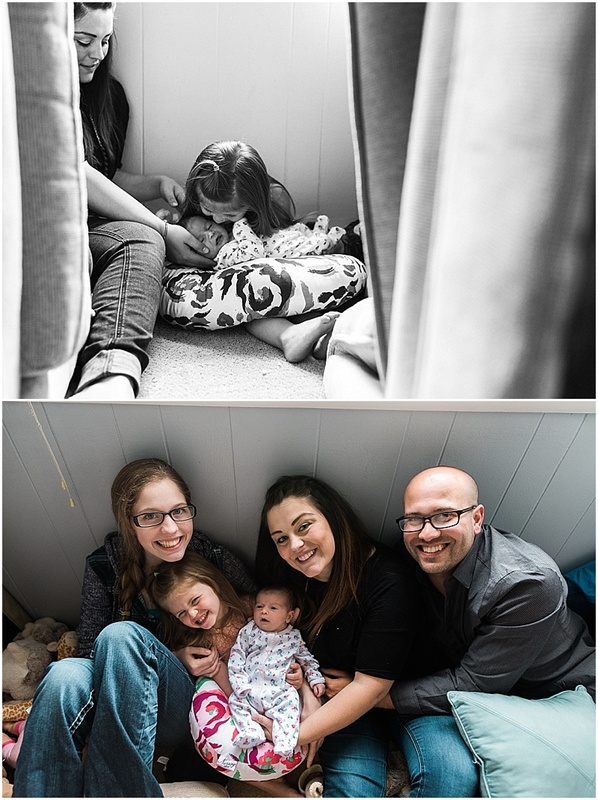 For this Life With A Newborn Session, this family had their family devotions, made birthday treats (for Cora's big sister who is turning 3), then building and playing in a couch/cushion/pillow/stuffed animal fort. 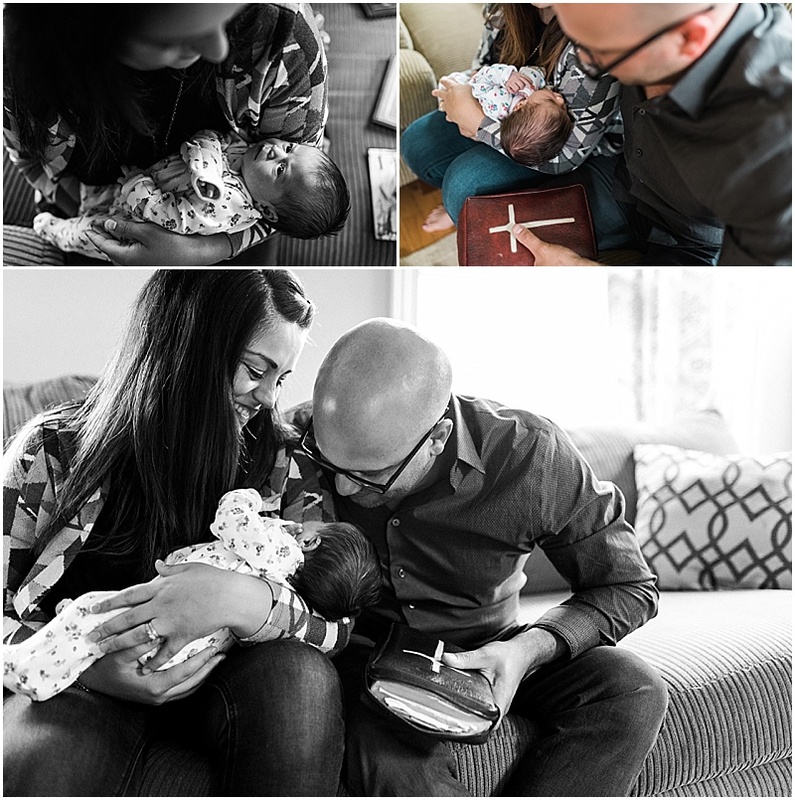 :) Through all this activity, Cora was the most peaceful, alert little baby, even at the young age of 1.5 weeks!